What would I do without Pinterest? I found this recipe on there. Here is the website. In one word this drink is AMAZING! It is fruity and punch like. I could totally see making a huge batch of this and putting it in a punch bowl. Heck it would probably be really good without the alcohol. This recipe was simple because I usually have all of the ingredients on hand. 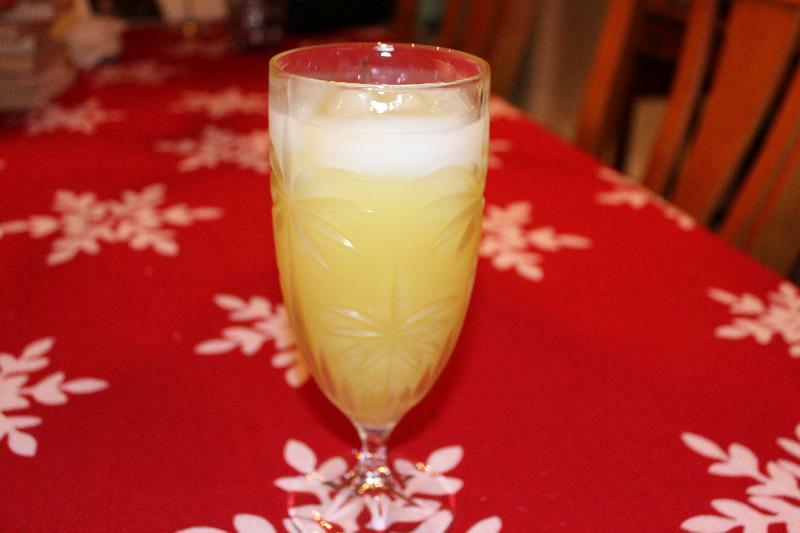 Pour in the rum, then the Sprite, the orange juice, and finally the pineapple juice.